A handcuffed suspect who jumped out a window at the Rock County Sheriff’s Office on Thursday afternoon caused a school lockdown before being taken into custody hours later. The handcuffs were gone when Quantrell Dylan Schwartzlow, 17, of 408 W. Beloit St., Orfordville, was taken into custody at his friend’s house on Yuba Street in Janesville, police said. Police are not sure how he got out of the handcuffs. Rock County sheriff’s detectives arrested Schwartzlow earlier Thursday on suspicion of second-degree sexual assault, strangulation, suffocation and battery, Sheriff Robert Spoden said. A detective left Schwartzlow alone in an unsecured interrogation room to retrieve items for the interrogation, Spoden said. After the detective left, Schwartzlow jumped out a second-story window and fled on foot while handcuffed in front of his body at 12:18 p.m., Spoden said. Police two hours later found Schwartzlow at a friend’s house at the 700 block of Yuba Street in Janesville and took him into custody without incident at about 3:45 p.m., Spoden said. Adults at the residence allowed police to search the home, where police found wet, muddy shoes, said Janesville police Lt. Michael Blaser. The residents told police the shoes belonged to “Q” who was out with their adult child, Blaser said. Schwartzlow was taken into custody when he returned to the house a short time later with his friend. The jail is about two and a half miles from the residence where Schwartzlow was found. The sheriff’s office had asked police to station officers at Schwartzlow’s friend’s house, Schwartzlow’s house in Orfordville and the victim’s house, Spoden said. Schwartzlow was arrested on charges of escape after he was found, according to a news release. Consolidated Elementary School was placed on non-emergency lockdown at 12:55 p.m. Thursday after reports of Schwartzlow’s escape, according to an alert on the Milton School District’s website. 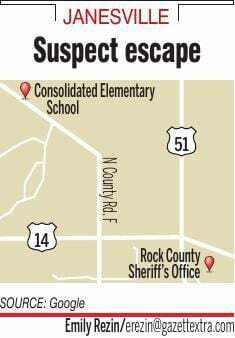 The school district was notified by the Rock County Sheriff’s Office that an inmate had escaped from the Rock County Jail and recommended the school be put into a non-emergency lockdown as a precaution, according to the alert. The school is a mile and a half northwest of the jail. The district followed the sheriff’s office’s recommendation and put the school on non-emergency lockdown for the remainder of the school day, according to the alert. A non-emergency lockdown means no outdoor recess and classroom doors staying closed. Bathroom breaks and hallway transports are supervised, according to the alert. The school day continued as normal, according to the alert. The sheriff’s office sent deputies to the school during dismissal time, and children who are bused were delivered directly to their homes, according to the alert. Spoden said the sheriff’s office will examine what happened to determine if any operational issues led to Schwartzlow’s escape. Schwartzlow was being held at the Rock County Jail. 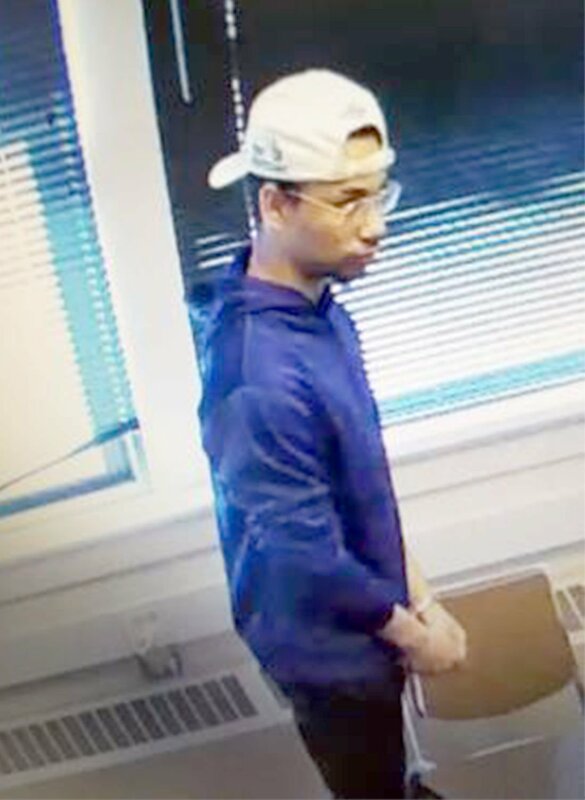 A teen who escaped from the Rock County Sheriff's Office last week by jumping out a window was held on a $15,000 cash bond Monday as officials worked to install security screens on some windows.